We believe it is a whole lot easier to build kids than it is to repair men and women. So we start young! 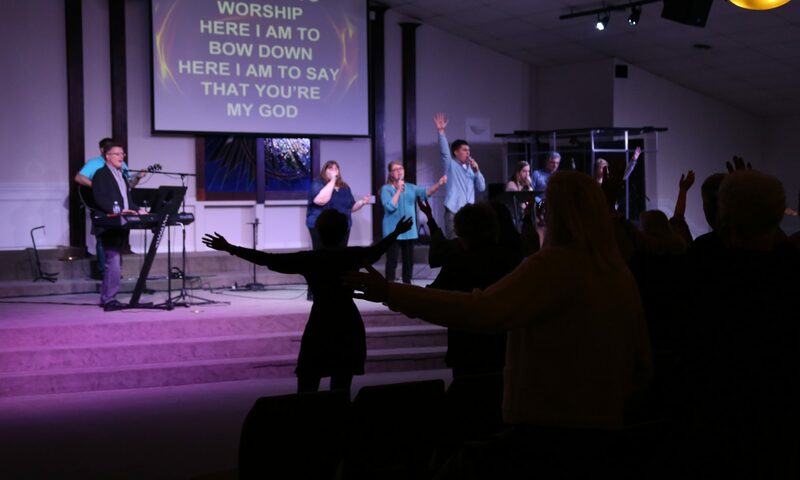 Our committed staff and volunteers have a passion for the Lord and your child’s future. 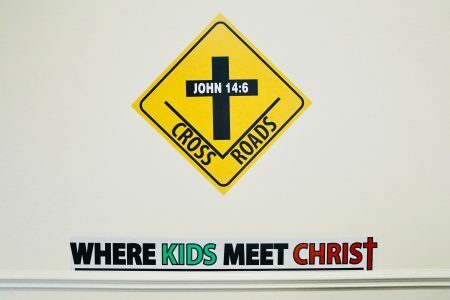 We provide a wide range of opportunities for your child to KNOW Christ, GROW in Christ and to GO for Christ! Cross Roads ministers to 1st-5th Grade. It’s an exciting, fast paced kids ministry that teaches children to build a strong foundation in their relationship with Jesus! Jesus Junction ministers to children ages 3-5. 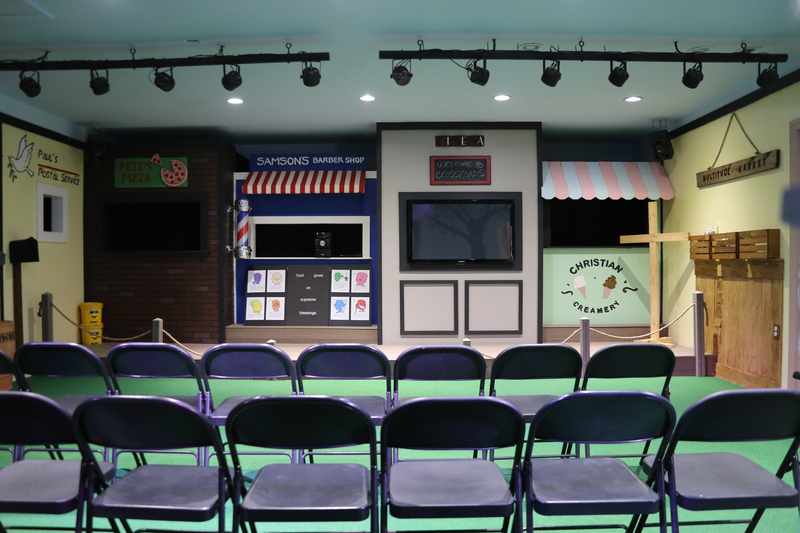 The boys and girls learn through play, fun hands-on crafts, great music and age appropriate Bible Stories. 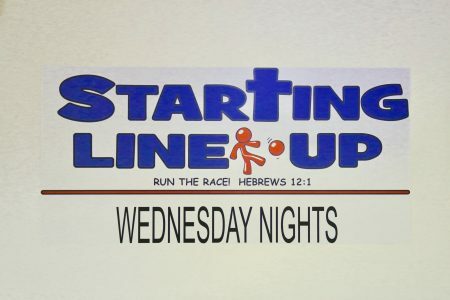 Starting Line Up ministers to children ages 3-11. Kids engage in a Bible teaching, with games and activities! 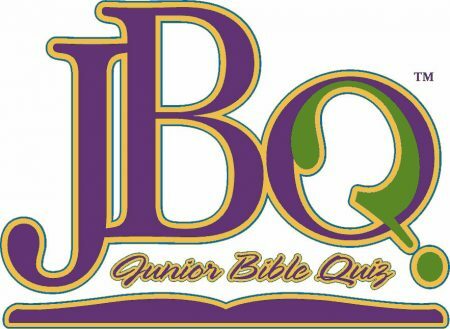 Junior Bible Quiz ministers to Kindergarten-5th Grade. This is during our Discipleship Hour on Sunday mornings. This class gives your child a great Bible foundation, and helps them GROW in their relationship with Jesus! Your children will discover our Nursery is a loving place where newborns to 3 year olds will learn that Jesus loves them! They will experience a safe, clean, loving environment where Ministry Workers are committed to show them the love of Jesus Christ. Our Nursery is open during our Sunday and Wednesday Services. Saturday mornings at 10 am. Royal Rangers is a place where boys learn to study and apply what the Bible says about integrity, biblical worldview, cultural issues and manhood. It provides men with the tools to model Christlike manhood as they mentor boys. In addition, the Royal Rangers ministry molds boys into servant leaders, teaching them vital social, equipping, attitude, leadership and service skills. Click here to visit the Royal Rangers Page. You can be certain that your child’s safety is of the utmost importance to us. Each volunteer working with your child has passed a national background check. Upon arriving, our volunteers will help you register your child, and you can let us know about any allergies or special concerns you may have. You will also have an opportunity to meet those who will be serving your child. Security is as important to us as it is to you, so you will be given a numbered security tag for children 0-5 years old. Should you be needed during the worship service, the number will be displayed in the Sanctuary. Your security tag will also ensure only you can pick up your child following the worship service. Thanks.